This event is sold out. You may add your name to the standby list in person only, beginning at 6 p.m. on the day of the event. Please note: There is no guarantee that additional tickets will be made available. 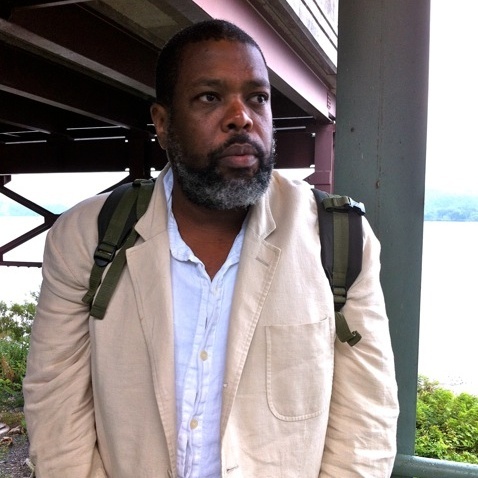 Hilton Als, author and critic, will be featured as this year’s Visionary speaker. The Stuart Regen Visionaries Series at the New Museum, supported by the Stuart Regen Visionaries Fund, honors forward-thinking leaders in the fields of art, architecture, design, film, and related disciplines of contemporary culture. Now in its seventh season, the annual series spotlights innovators who shape intellectual life and define the future of culture. Als is one of the most distinctive voices in American letters. His career has been closely associated with the New Yorker since 1989, when he began working as a contributor to the magazine’s column “The Talk of the Town.” In 1994, Als became a staff writer and, in 2002, the publication’s theater critic. His revolutionary autobiography, The Women, appeared in 1996 and introduced an author who embraced enormously complex topics—such as race, sexuality, politics, and, most of all, the liquid dimensions of love—to an audience of readers who would become his devotees. In 2013, a selection of his essays was published under the title White Girls. The book is inhabited by a cast of characters that could easily populate a twenty-first-century version of Tennessee Williams’s Camino Real. Truman Capote, Michael Jackson, and Richard Pryor are cast as his heroines and heroes, and everywhere is Als himself, whose uncanny empathy makes him another player in his theater of doubled identities. On Tuesday, September 15, 2015, Als will read from a new, unpublished essay about photographer Diane Arbus and her passionate engagement with New York City. Arbus is a perfect vehicle for Als’s meditation. Running from privilege, she took herself further and further away from anything that could be described as normative and descended into a world teetering on the brink of the void. Like Als, she saw herself in her subjects, but, for her, life became a desperate struggle to disassociate from them. Join us for the telling of this story. Previous Visionaries include legendary choreographer Bill T. Jones, who inaugurated this singular program in 2009. He was followed by Jimmy Wales, founder of Wikipedia (2010); Alice Waters, chef, author, and proprietor of Chez Panisse Restaurant & Café (2011); and artist and architect Maya Lin (2012). More recent Visionaries include Matthew Weiner, creator and producer of Mad Men in conversation with novelist A.M. Homes (2013), and Darren Aronofsky, director of Requiem for a Dream, Black Swan, and Noah, among other films, in conversation with novelist and cultural essayist Lynne Tillman (2014). The Visionaries Series is made possible by the Stuart Regen Visionaries Fund, established by a gift from Barbara Gladstone in honor of her son Stuart Regen. Additional support for the Visionary Series is provided by the Charlotte and Bill Ford Artist Talks Fund.